Take an unforgettable vacation on a luxury cruise along some of the most beautiful rivers in the world! Cruises to Europe, Asia and South America. Avalon Waterways offers small-ship, luxury river cruises along popular waterways in Europe, Asia, and South America. With action-packed itineraries and a wide variety of excursions to choose from, an Avalon river cruise is the perfect way to immerse yourself some of the world's most stunning cities and nature. See the hidden wonders of the Amazon rainforest, traverse the cobblestone streets of Europe, and discover exotic Mandalay, a city lost in time. An Avalon cruise makes it all possible. Avalon ships are custom-built for the rivers they sail, and are designed with passenger comfort in mind. Small details like L'Occitane bath products and Egyptian cotton bedding add a touch of luxury to the air. Innovative Panorama Suites, found on newer ships, blur the distinction between inside and out, as an entire wall is built of floor-to-ceiling windows which open to reveal a 7-foot-wide French balcony. And world-class cuisine, highly personal service, and an all-inclusive cruise fare are just some of the additional benefits that will turn your Avalon cruise into a five-star experience. One of Avalon Waterways' newest ships, the Avalon Passion embarks on exciting itineraries throughout Eastern and Western Europe. 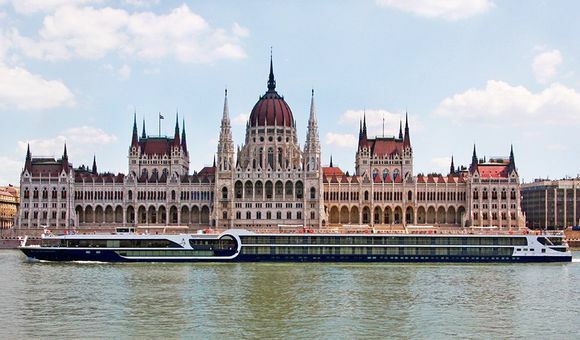 Cruise the canals of Amsterdam or the beautiful blue Danube in high style. The Avalon Passion has it all. Escape to the fairy-tale castles and ancient vineyards of the Rhine on a luxury river cruise with the Avalon Image II. Boasting innovative suites, high-end amenities and a friendly staff, the ship is sure to provide an unforgettable vacation.